The seminar will be held on Saturday 28 February 2015 from 12:00 to 16:00. 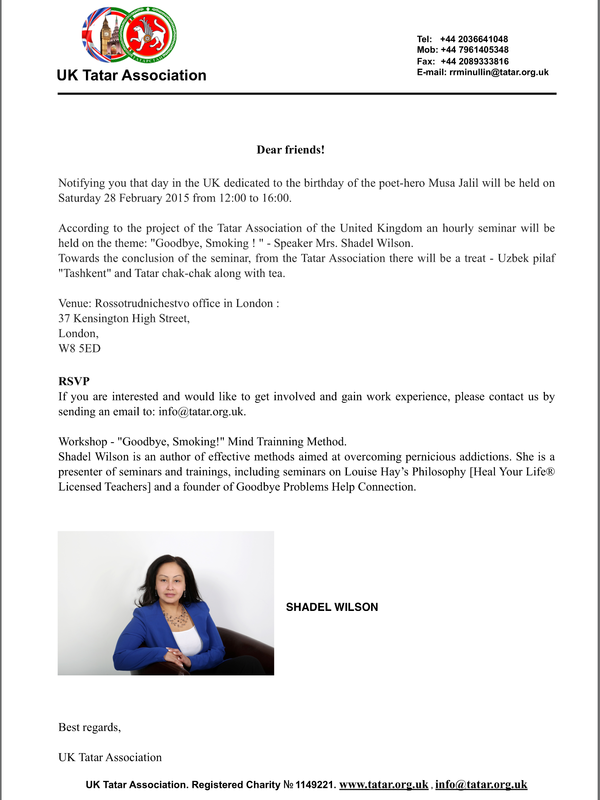 The speaker – Mrs. Shadel Wilson. She is an author of effective methods aimed at overcoming pernicious addictions. Towards the conclusion of the seminar, all are invited to have a taste of Uzbek plov “Tashkent” and Tatar chak-chak along with tea – as a treat of the Tatar Association. If you are interested and would like to get involved and gain work experience, please contact us by sending an email to: info@tatar.org.uk. Workshop – “Goodbye, Smoking!” Mind Trainning Method. Shadel Wilson is an author of effective methods aimed at overcoming pernicious addictions. 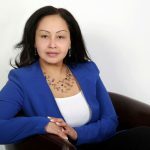 She is a presenter of seminars and trainings, including seminars on Louise Hay’s Philosophy [Heal Your Life® Licensed Teachers] and a founder of Goodbye Problems Help Connection. Ramil Rifmir uly Minullin was born in Uzbekistan, a member of the Tatar ethnic minority group. He graduated from the Tashkent College of Trade with a degree in logistics and sales management. Thereafter he held senior executive posts in a number of trading and production companies, with responsibility for foreign economic relations. In 1998 he took up permanent residency in the UK, where he established his own business. He retains links with Uzbekistan and Tatarstan, and his charitable work in those countries has been recognised by numerous awards. 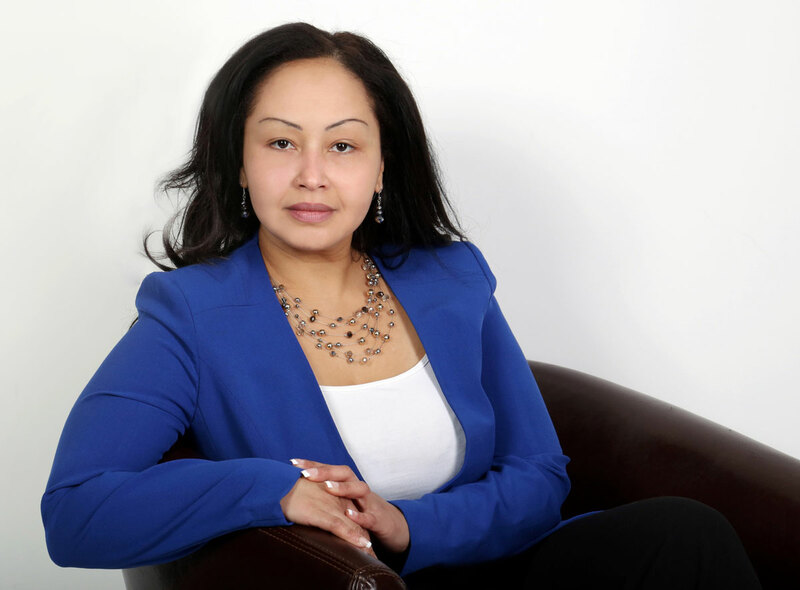 Dr. Shirin Akiner– Chairman of the "British-Uzbek Society" in UK. The UK Tatar Association is an independent, non-political organisation. It was formally established in 2012 with the aim of supporting and helping to facilitate cultural, educational and people-to-people links between the United Kingdom and Tatarstan.